A velvety soft knit gives these Wolford socks an exceptionally smooth look. Stretch fabric and soft scalloped bands provide an ideal, comfortable fit. Choose black, anthracite, or mocca velvety soft 50 denier yarn. Soft, banded knee-high comfort cuffs with scalloped trim. Falke "Active Breeze" knit slip athletic socks. Low-rise ankle for no-show. Exceptionally smooth and slightly silky feel. High moisture absorption. Breathable. Lyocell/nylon/spandex. Imported. 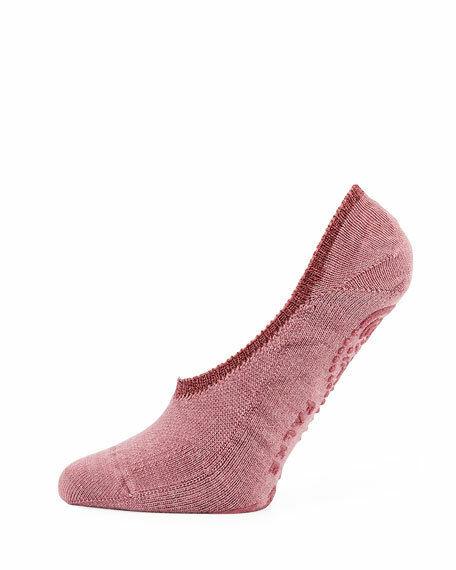 Falke "Cozy Ballerina" slipper socks with anti-slip sole. Soft, warming merino blend with shimmering finish. Plush inner layer. Glittered jelly sole. FALKE perfect fit. ... Made in Slovakia.